If you believe low fee (or no fee), passively managed investment options are appropriate for your super, we strongly encourage you to consider these three questions. Like many Australians, heralding in the New Year often includes vowing to get on top of things that you might have put off, want to improve, or simply need to tick off the list. Reorganising finances, being a better money manager and building towards your future are typical in many people’s New Year resolutions. So, where does superannuation fit into the above picture? 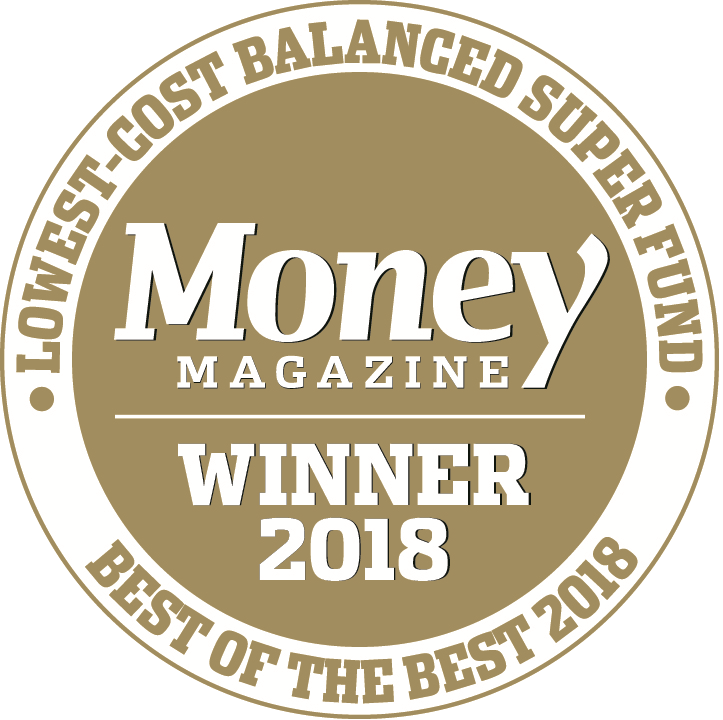 It’s important that your super works as hard as you do, and that it’s with a quality fund that is both cost competitive and has a consistent track record of performance. Over recent years many funds, including Hostplus, have introduced low fee investment options that largely track and deliver the investment returns of major investment markets using simple investment structures and low-cost products. With more investment options like these coming onto the market, it can be incredibly easy to be focused on a seemingly attractive ‘low fee’ or even ‘no fee’ label. But as the well-proven saying goes; “there’s no such thing as a free lunch”. So, what should you look at when considering the best option for you? What are the different types of fees attached to your super? Given the number of fees and costs charged to your superannuation account, it can sometimes be hard to keep a track of them. However, it’s important to understand what they are and ultimately how they will impact your super account balance. General administration fees to cover the cost of operating the fund and keeping your super account. Fees for managing your investment which can vary for different investment options. Costs paid by your super fund to external providers that affects the value of your investment. Fees for personal advice provided about your super and other investments. Your adviser may also receive fees and commissions for certain investments they recommend to you and these are not included in product disclosure statements (PDS) by the super fund. Fees for changing your investment option within the fund. This is a fee that you may pay every time you make a transaction, including making a contribution, switch and withdrawal. The fee covers some or all of the cost of transactions entered by the fund. The cost of insurance provided through your super fund. Many super funds have a set default insurance option. You can usually choose to lower or increase your level of cover based on your needs. A fee for leaving the fund. It’s important to note that while some superannuation funds charge all the above fees and costs, others don’t. Administration fees can also be a bit confusing, as there are two different types of administration fees. Most funds charge a set dollar based weekly or monthly fee PLUS a percentage fee based on the value of your investments. However, some funds only charge a fixed weekly administration fee. For example, at Hostplus, we only charge a set $1.50 per week administration fee. Better still, this fee has remained unchanged since 2004. We also do not charge fees to switch investment options or exit our fund. If you can’t easily find and sum the above fees and charges that your fund may charge, you are at risk of not having the full cost picture. Hidden fees and costs can slowly eat away at your returns, often without you even knowing it. So, make sure you check your fund’s PDS or contact them directly to be certain you have all the information you need to know about ALL the fees and costs attached to your preferred option. Why is it important to consider all fees and costs? Small differences in both investment performance, fees and costs can have a substantial impact on your long-term returns. This is magnified when you’re young and have another 30 to 40 years in your working life. For example, total annual fees and costs of 2 per cent of your account balance, rather than 1 per cent, could reduce your final return by up to 20 per cent over a 30-year period. That’s like having your $100,000 super account balance being reduced to $80,000. To demonstrate how fees and costs can apply to your super, the following fee comparison table highlights how Hostplus’ low-cost Indexed Balanced option stacks up against similar low and ‘no-cost’ indexed options currently offered by three other major super funds. This comparison is based on fees from three other major super funds’ PDS as at 7 January 2019. The total cost includes all administration fees (set dollar-based and asset-based if applicable) and investment fees. The comparison does not include buy-sell spreads which are often additional costs, however some funds like Hostplus do not charge these additional costs on indexed investment options. Using the above fees and charges, we’ve done a fee comparison below based on the total cost incurred on an ongoing annual basis. The above total annual cost comparison highlights why it’s important to factor in all fees and costs that apply to a low or ‘no’ fee investment option. In this comparison Hostplus’ low-cost Indexed Balanced option is the lowest cost across different account balances ranging from $50,000 to $1,000,000. What other factors should I consider when choosing an investment option? Clearly fees are important, but we encourage members to also pay careful attention to the investment returns that they actually receive after all investment fees and taxes have been accounted for. That is, the ‘net investment return’ you are credited into your account. There are other factors that come into play with the performance of investment returns, including the asset allocation of your investment option. For example, Hostplus’ Indexed Balanced option is diversified across four key asset classes, while our default (actively managed) Balanced option is diversified across nine asset classes. Given the importance of these considerations, we’ll unpack these in more detail in a future blog. In the meantime, if you’d like to get advice relevant to your personal circumstances and financial objectives, we encourage you to contact Hostplus and ask to speak with one of our qualified and experienced superannuation advice consultants or financial planners.